It was this kind of advice that Havlicek imparted to the Celtics back in 2011, when he stopped by the team’s practice facility during the Eastern Conference semifinal series. In an unexpected visit, he came by to offer some of his insight. When reflecting back to 1969, when he helped turn the game around by giving the Celtics the edge over the Lakers, he shared that in order to get back to the top, you have to use “everything in you to fight and claw back” to where you need to be. 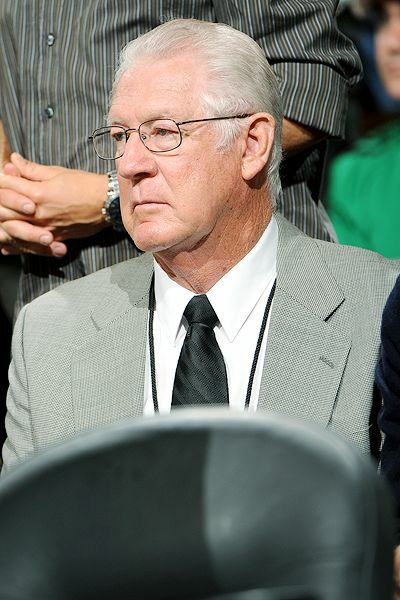 More than just a legendary player in the NBA, Havlicek is also known for his successful investments that have helped him live a comfortable retirement with more money than he actually made from playing basketball. In his era, the average salary of an NBA player was only $15,000 per year—a very different world than what we see today. But this didn’t slow Havlicek down in his ability to see ways of securing a future through smart investment. Havlicek’s advice when it comes to financial success is to invest as early as possible. Knowing Dave Thomas early on, Havlicek was able to invest into the growing fast-food industry through Wendy’s, eventually running a few restaurants himself. Choosing three franchises in Westchester County, New York, Havlicek would come to own these for nearly 30 years before selling them. It was this type of “long-haul” investment that saw him reap the rewards. When it came to investing, Havlicek never played the constant “game” of buying and selling based on fluctuating market values. He invested wisely for the long haul; observing which industries had trends that would likely continue to rake in profits was a key factor in how Havlicek invested, and it’s rewarded him well into retirement.